Category: Chemicals. 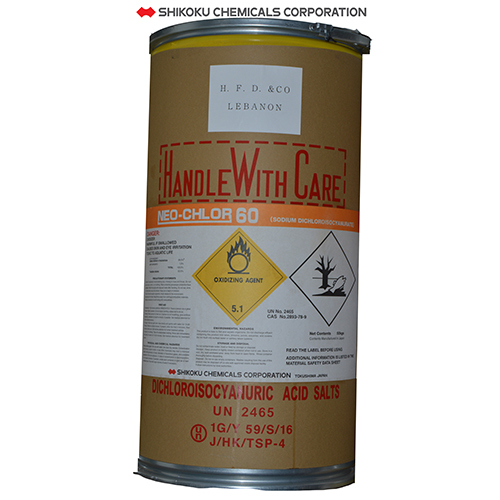 Tags: 60, chlorine, dichloro, NEO-CHLOR 60, SDIC, Shikoku, Sodium Dichloroisocyanurate, the best chlorine. 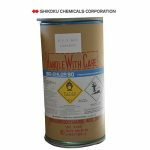 SHIKOKU CHEMICALS CORPORATION is one of the leading manufactures of chlorinated cyanurates, and the products have been marketed all over the world under tradename NEO-CHLOR active chlorine compounds. In 1964, Shikoku developed most efficient and unique technology for producing very high quality products. 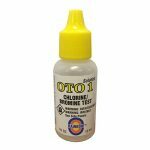 Since that time, NEO-CHLOR chlorinated cyanurates have grown to take an important place as sanitizing agent for various sight in the world. g/100g at 30 °C 35 0.5 max.